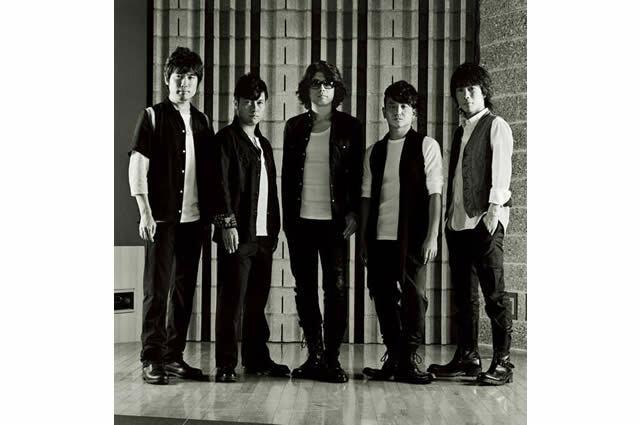 The Gospellers is a vocal group composed of Tetsuya Murakami (born on Apr. 24, 1971), Kaoru Kurosawa (born on Apr. 3, 1971), Yuji Sakai (born on Oct. 5, 1972), Youichi Kitayama (born on Feb. 24, 1974), Yutaka Yasuoka (born on Aug. 5, 1974). The group was formed in 1991 by the members of the Waseda University a cappella club “Street Corner Symphony”. They released their first mini album “Down To Street” from File Records in Aug. 15 1994. After some member changes, they made their major record debut with their single “Promise” released from Ki/oon Records. The group’s 14th single “Towani” released Aug. 2000 and 6th album “Soul Serenade” released Oct. 12th, both entered the Oricon chart and became a longer-seller in Oricon history. Their 16th single “Hitori” released in Mar. 7th 2001 reached no. 3 on the Oricon chart, which marked the 1st complete a cappella piece to enter top 3 of a Japanese music chart. In June 6th 2001, the group released the love ballad collection album “Love Notes” which became a million-seller. In March 10th 2004, they released their 9th original album “Dressed up to the Nines” which contains 12 tunes including “Right on, Babe” “Shin Osaka” “Machikado-on the corner-” (the theme music for JRA’s 50th anniversary) “End roll” (the ending theme for Super Channel’s program “ER”). The group embarked on their tour “The Gospellers’ Hill Tour 2004 ‘Goukyu'” in April 16th. In the meantime, they have shown their versatility as a composer, chorus, producer etc for other artists. The Gospellers has been acknowledged as the pioneer of the Japanese vocal groups, and has released albums throughout Asia including Taiwan, Hong Kong, Thailand, Malaysia, Singapore, Indonesia, China, and Korea. New album “G10” will be released on nov.17 in Japan, thereafter in Taiwan, Malaysia, HK, China, Thailand, Singapore, and Korea. This is the best album commemorating 10th anniversary since their debut, whose tracks are selected by fans all over the world! 1st Asia tour is currently planned in early 2005.